In August 2015, I was contacted by a new brewery in Montana to design their brand identity from the ground up. 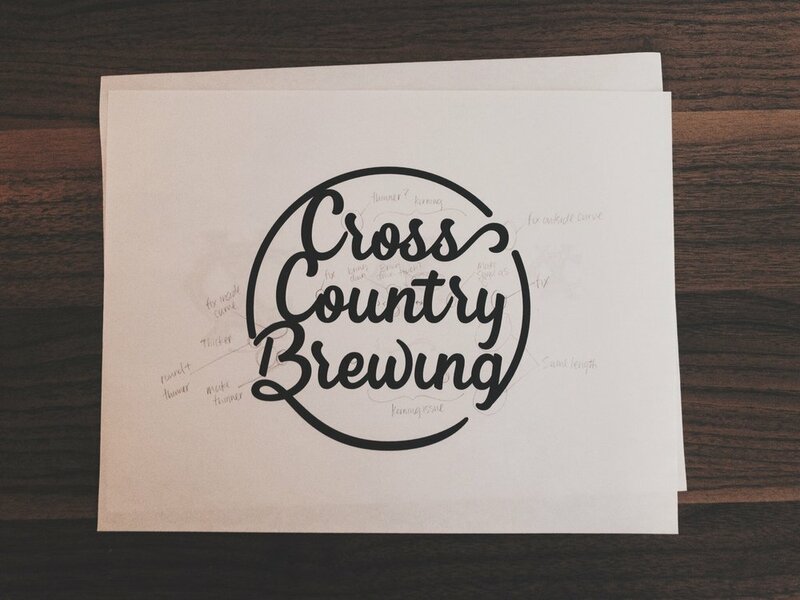 Cross Country Brewing is a family owned microbrewery in Glendive, Montana that produces high-quality beer with their customers and tradition in mind. The client was looking for something clean and modern, but at the same time had a rugged feel to it--almost like an early 20th century general store would have. The first thing I do when starting any project is do tons of research. I begin researching the industry, both from a design perspective as well as a business one. I want to know how the industry operates. I want to know what others in the industry are doing, so we can stand out. While I'm doing the research I'm also mind mapping key words that I find relevant to you business (see above). I use both the design brief and the research I'm doing help me with this. Usually some key words will stick out to me that I want to highlight in the visual aspects of the design. The goal is to take some of the most prominent ideas and capture them in a single mark. The family that contacted me for this job had the last name of Cross and when they initially started putting the business together they would often have to drive hours to meet with one another since they all lived in different places. So the name of the business is play on words, which I think is dope. I definitely wanted to capture that idea in the design. Once I feel I've done enough research, I'll start sketching out some ideas. A lot of them aren't pretty, but that's okay because I'm just trying to generate ideas. Sometimes, one concept that may seem cliche can lead to a more original, authentic concept. I landed on one concept that I thought was headed in the right direction. I started developing it further by refining my sketches and then digitizing it on the computer. Even after I had it refined, I still wasn't sure on whether or not this was the best option for the primary logo. I also wan't sure if I was retro enough. So I began experimenting a little with the layout. I kept the 'Cross Country' the same, but did 'Brewing' in a different style—also custom. This is where I tried to incorporate the vintage, old time, hand painted sign feel to it. 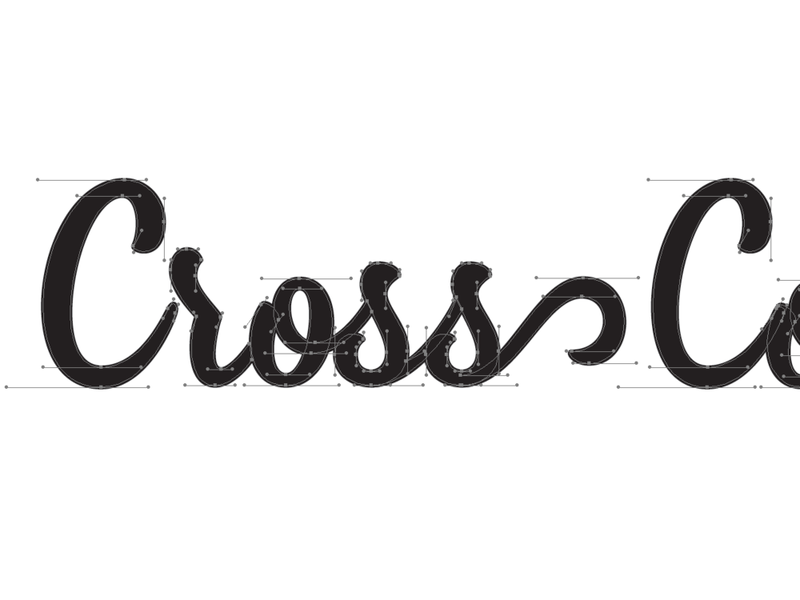 I also styled 'Cross Country' a little more. I wanted it to look unique and unmistakable that it was hand lettered and custom. Based off of our conversations, I wanted to create a secondary logo that could also be used on a coaster. 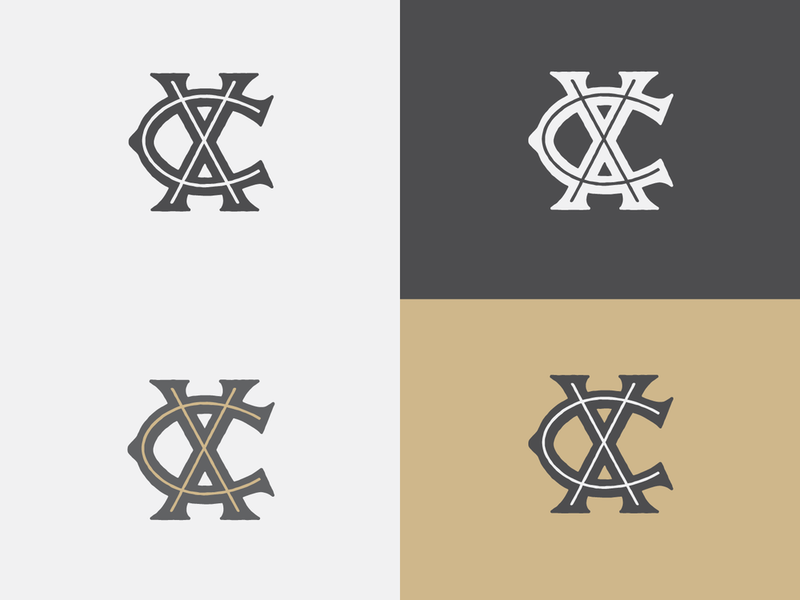 I also created an 'XC' monogram that would look nice on their tap handles or possibly bottle caps.